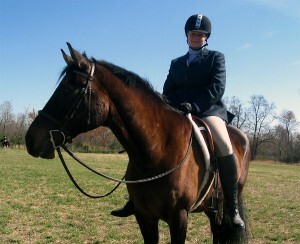 When I get down about my riding, I look back to some moments of time riding during college. 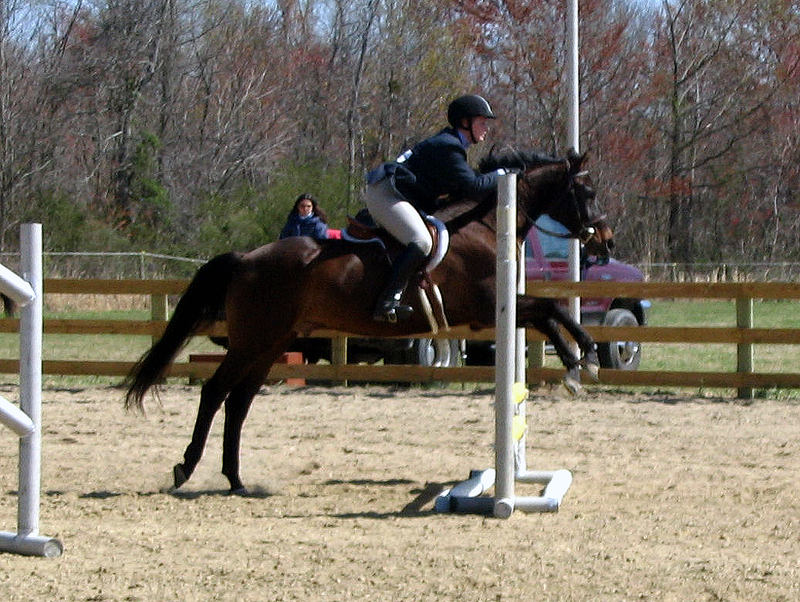 Before Beckett ruining my confidence and before I gained a bunch of weight – I was a confident and fit rider. That person is slowly coming back! The best example of my riding oddly enough happened when my horse, Elvis, was off due to a freak eye injury (I’ll have to blog about that one later). 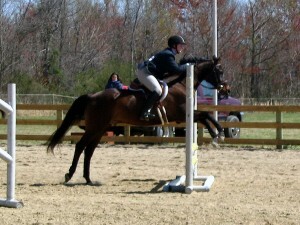 A really nice family at the barn offered to let me show their horse, Gymnast, at a local schooling show we were going to. Gymnast was the coolest horse. The mom just wanted to hack around on something dependable, but since they are quite wealthy she could afford to hack around on something quiet and well trained/somewhat fancy. I don’t remember if he was a TB or Warmblood, but he was tall dark & handsome and had this amazing thing called auto changes. I don’t have a ton of details about that day, and no video sadly. I wasn’t as good at chronicling my life in that period of time. I do know that for the first time ever, I stepped into the ring on a horse that I knew without a shadow of a doubt would jump every fence. Would not spook at the announcer’s stand, and would not drag his change for half of the ring. I rode like I was trying to win instead of trying to survive, and guess what… we won! 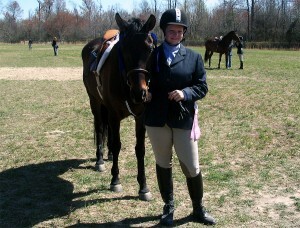 I don’t know the exact ribbons, although the pictures show at least a 5th and a 1st. I do know the 1st was over fences, and that was a big deal for me. I can count on one hand the times in my life I’ve won first over fences, but that day it was more than just winning. 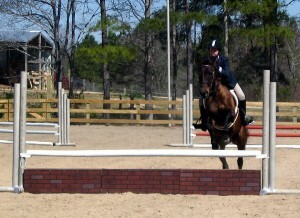 I had this cool confidence and realization that showing was fun! Now that I’m old and wise (insert laughter here), I strive to find that same attitude and channel the energy I had that day on every horse I ride – in and out of the show ring. Love 30 day challenges. A great way to learn more about other bloggers! Yeah, I love how they give me a variety of things I wouldn’t ordinarily blog about. Love learning about you and your horse adventure.